The Boulden House (circa 1854) is located in the heart of historic Chesapeake City. Walking distance to restaurants, shops, Pell Gardens, and the C&D Canal. Village Center zoning allows commercial use of this residence. 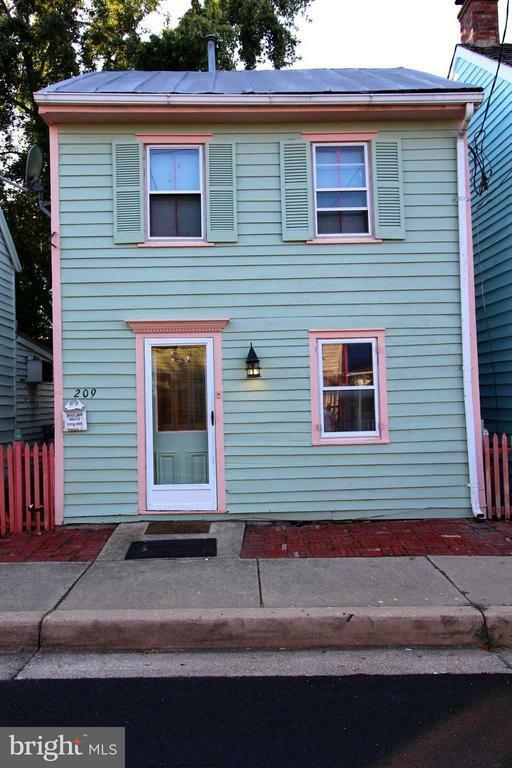 Wood floors throughout this 2 bedroom, 1.5 bath freshly painted home. The town of Chesapeake City has boat slips for rent at the town dock for the season (subject to availability). Directions: Rt. 213 to Southside Chesapeake City. George street is the main street leading into town. Home on the left side of street. Look for Long & Foster sign.